New research from Nigeria shows how virgin coconut oil can have protective health benefits due to its high amounts of antioxidants. 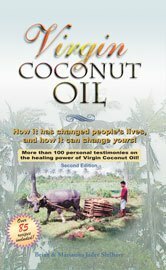 One study looked at the effect of virgin coconut oil when supplemented in a diet high in consumption of heated vegetable oils, and how virgin coconut oil protected the liver and kidneys, and the other study looked at how virgin coconut oil can reverse the free radical damage done by cancer chemotherapy drugs. Virgin coconut oil, depending on how it is processed, is much higher in antioxidants than refined mass-produced coconut oils. It is not surprising that scientists and researchers in Africa are exploring the benefits of coconut oil, which is native to many tropical African countries, after being deceived for many years by western thinking that coconut oil is harmful due to it being a highly saturated fat. In a study titled Repeatedly heated palm kernel oil induces hyperlipidemia, atherogenic indices and hepatorenal toxicity in rats: Beneficial role of virgin coconut oil supplementation researchers from Ebonyi State University in Nigeria found that virgin coconut oil supplementation had a positive effect on the kidneys and livers of rats who were also fed repeatedly heated palm kernel oil. The literature reports that the health benefits of vegetable oil can be deteriorated by repeated heating, which leads to lipid oxidation and the formation of free radicals. Virgin coconut oil (VCO) is emerging as a functional food oil and its health benefits are attributed to its potent polyphenolic compounds. We investigated the beneficial effect of VCO supplementation on lipid profile, liver and kidney markers in rats fed repeatedly heated palm kernel oil (HPO). Rats were divided into four groups (n = 5). The control group rats were fed with; a normal diet; group 2 rats were fed a 10% VCO supplemented diet; group 3 administered 10 ml HPO/kg b.w. orally; group 4 were fed 10% VCO + 10 ml HPO/kg for 28 days. Subsequently, serum markers of liver damage (ALT, AST, ALP and albumin), kidney damage (urea, creatinine and uric acid), lipid profile and lipid ratios as cardiovascular risk indices were evaluated. HPO induced a significant increase in serum markers of liver and kidney damage as well as con- comitant lipid abnormalities and a marked reduction in serum HDL-C. The lipid ratios evaluated for atherogenic and coronary risk indices in rats administered HPO only were remarkably higher than control. It was observed that VCO supplementation attenuated the biochemical alterations, including the indices of cardiovascular risks. VCO supplementation demonstrates beneficial health effects against HPO-induced biochemical alterations in rats. VCO may serve to modulate the adverse effects associated with consumption of repeatedly heated palm kernel oil. Palm kernel oil, which is different from regular palm oil, is common in Africa. Another study from Nigeria published in December of 2017 is titled Antioxidant and anti-inflammatory effects of virgin coconut oil supplementation abrogate acute chemotherapy oxidative nephrotoxicity induced by anticancer drug methotrexate in rats. 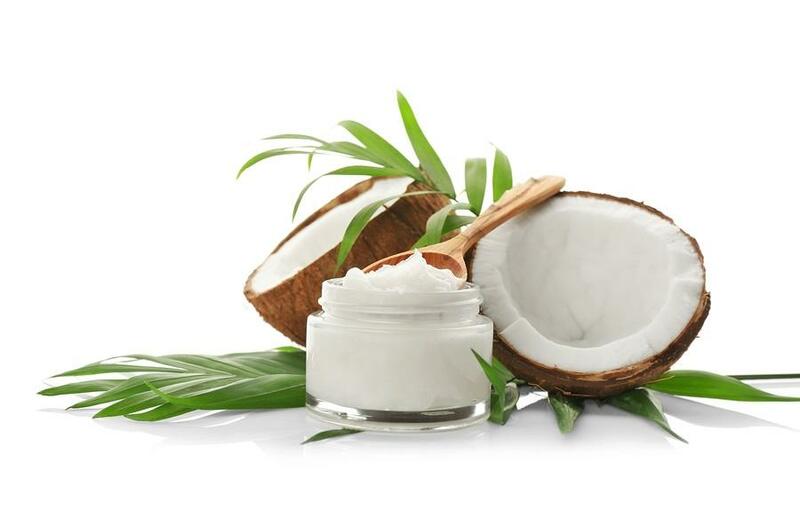 The researchers looked at antioxidant and anti-inflammatory effect of virgin coconut oil when supplemented with the anti-cancer drug Methotrexate. Methotrexate (MTX) is an efficacious anticancer agent constrained in clinical use due to its toxicity on non-targeted tissue, a considerable source of worry to clinicians. Because the toxicity is associated with oxidative stress and inflammation, the study explored antioxidant and anti-inflammatory effect of virgin coconut oil (VCO) supplementation in nephrotoxicity induced by MTX in rats. Rats were randomized into 4 groups (n=6) as follows: Control group; MTX group injected with single dose of MTX (20mg/kg, ip) on day 14; VCO (5%)+MTX and VCO (15%)+MTX groups were pre-treated with VCO diet and injected with single dose of MTX (20mg/kg, ip) on day 14. After 3 days of MTX injection, serum kidney markers, renal activities of antioxidant enzymes and glutathione (GSH) content were determined. Lipid peroxidation level and inflammatory markers- interleukin-6 (IL-6), nitric oxide (NO) and C-reactive protein (CRP) were estimated in kidney. Histopathological alterations were examined for kidney damage. MTX nephrotoxicity was evidenced by markedly elevated serum renal markers along with significant decreases in renal GSH and activities of antioxidant enzymes confirmed by histopathology. Lipid peroxidation level, IL-6, NO and CRP markedly increased compared to control. VCO supplementation prior to MTX injection attenuated MTX-induced oxidative nephrotoxicity via prominent increases in GSH and antioxidant enzyme activities in a dose-dependent manner. The renal inflammatory markers and MDA depleted considerably compared to MTX control group. Histopathological alterations were mitigated to confirm the biochemical indices. VCO supplementation demonstrates nephroprotective activity by attenuating MTX oxidative nephrotoxicity via antioxidant and anti-inflammatory activities in kidney. Our results suggested that VCO may benefit cancer patients on MTX chemotherapy against kidney injury.